Well my daughter (Izzy) certainly did! 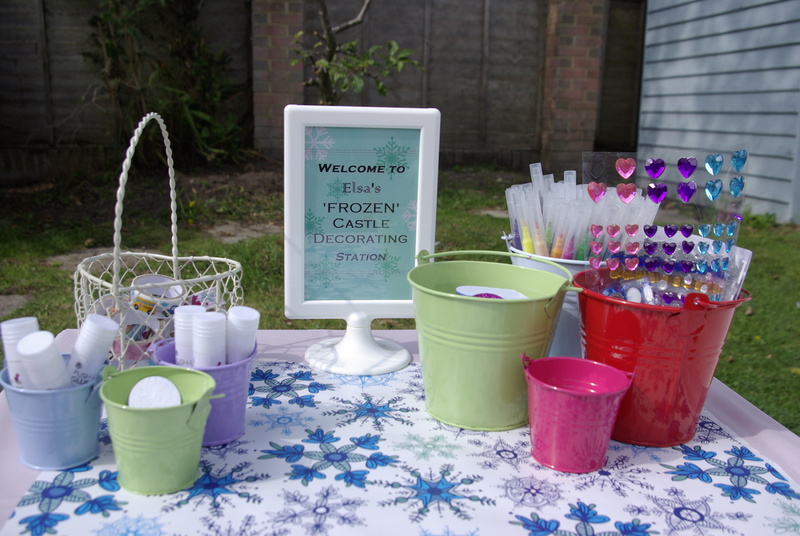 So for her 5th birthday party we put on a Frozen extravaganza for 14 of her friends! 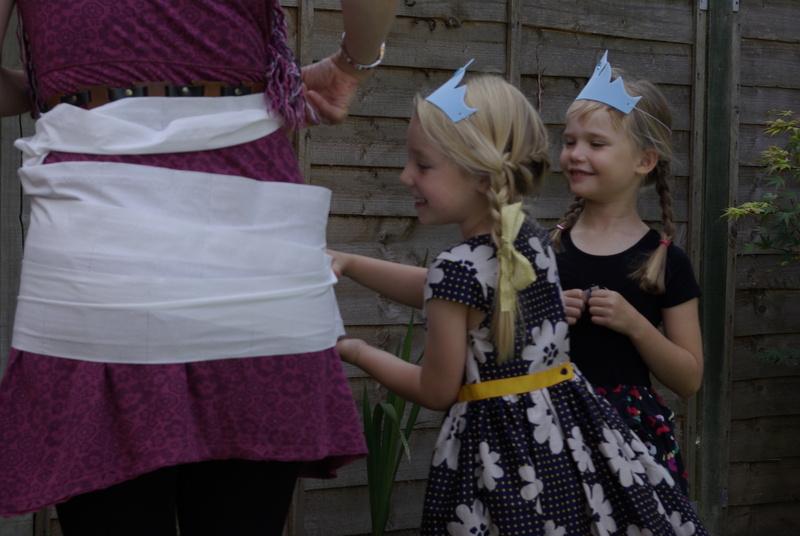 The party kicked off with a ‘Decorate Elsa’s castle’ activity. We did a spot of reusing and recycling to make the castle and Mr Made By Me (hubby Martin) did a grand job! 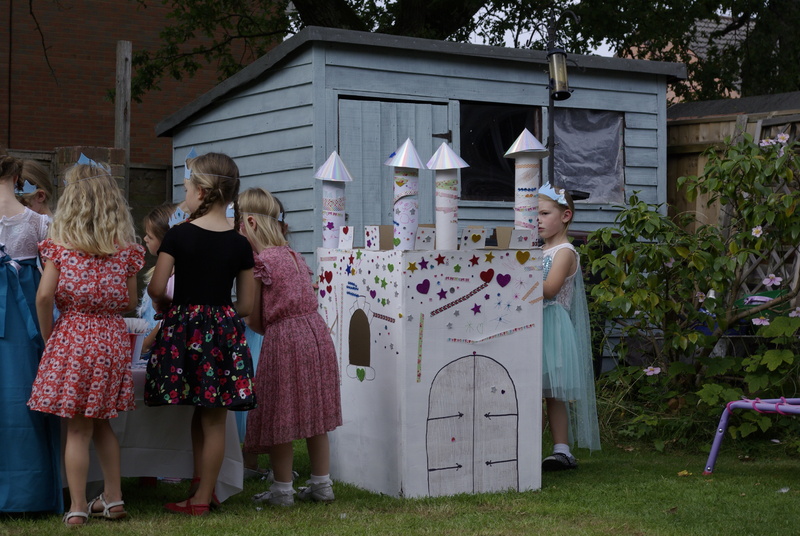 I’ve found a great supplier for super glamorous cardboard castles for any future Made By Me parties. This activity was more popular than I had imagined and the girls kept going back to add a few more jewels and embellishments throughout the party. Next up was ‘Do You Wanna Build a Snowman?’ and we split the girls into teams and asked 4 unsuspecting parents to be our victims (er … I mean, Olafs). 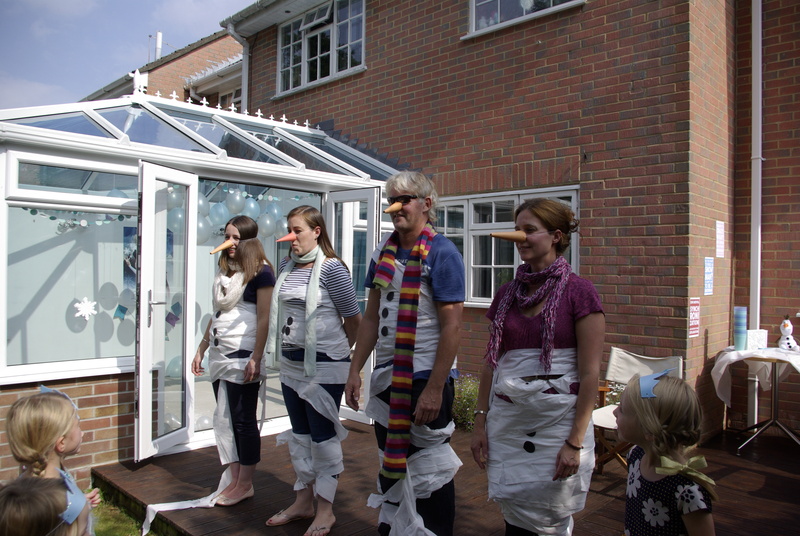 Each team had a roll of toilet paper, 3 buttons, a carrot nose and a scarf and they had to dress up their adult as Olaf. Cue lots of laughter and fun! I thought it would be amazing if we could make it snow for the party and I took an idea I’d seen on Pintrest and changed it up to suit our Frozen needs. We filled balloons with some Christmas chocolate snowballs, silver sequins, some tiny cotton balls and also a party guest’s name on a piece of paper (so we knew whose turn it was next to pop). 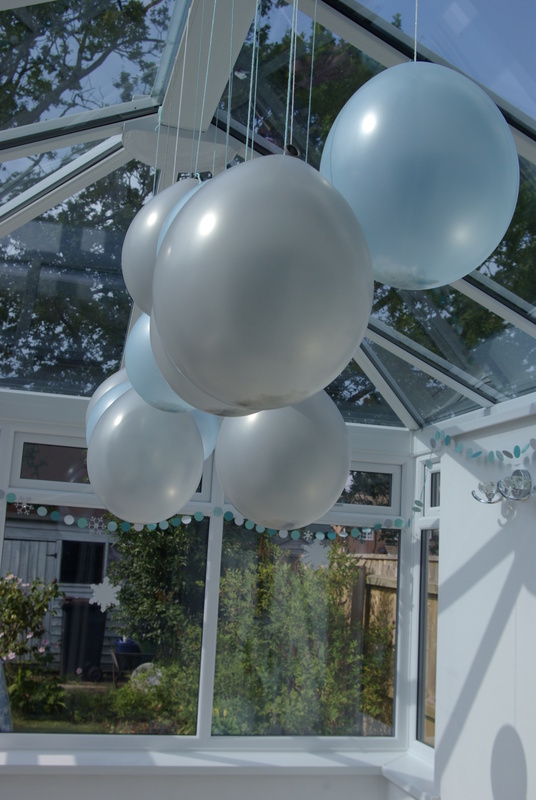 We hung the balloons from our conservatory roof and each girl got to pop a balloon. It was a bit like pass the parcel with a bang! The party was in September on one of those unexpectedly hot days and my cunning plan went a bit melty, as I hadn’t factored in the hot conservatory and the chocolate … there were a few chocolate smears as a result. Oops! 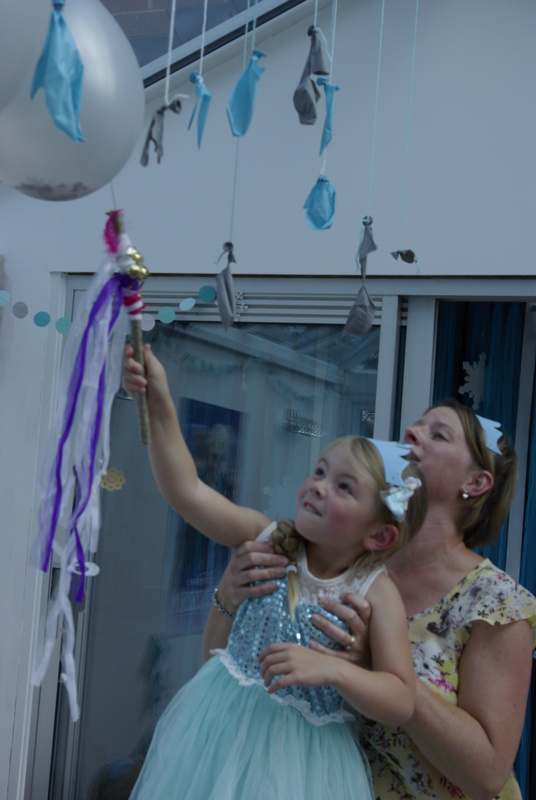 We rounded up the party with some quieter games of ‘Pin the Nose on Olaf ‘and ‘Frozen musical statues’. 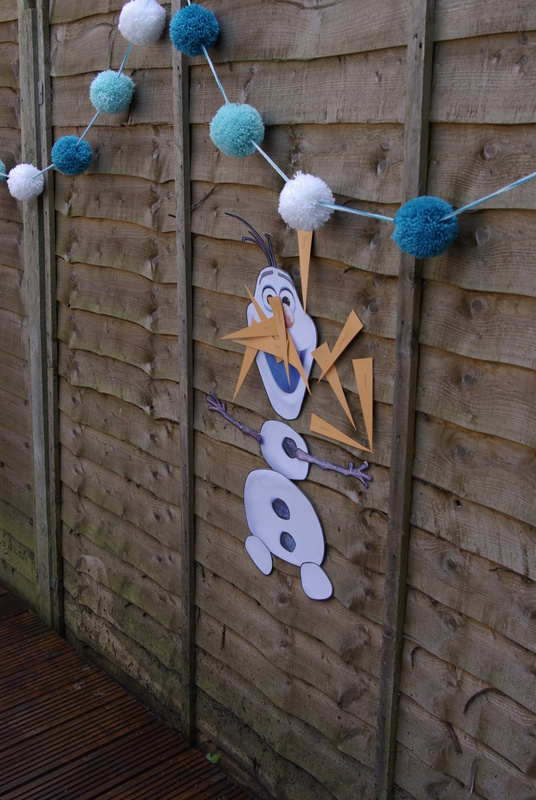 Thanks for reading and I’ll be back soon with a post about the Frozen party decorations. I had so much fun making them.